Furnishing a home on a budget? Look into estate sales. Looking to furnish a new home on a budget? Where do you start? Like most you're going to head to craigslist or maybe a local Facebook page for "yard sales". If you are looking to find higher quality used furniture or just about any household item you need to look at local estate sales. 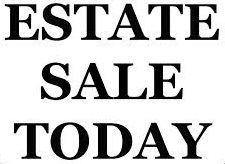 Generally, estate sales are only held at higher income homes with nicer items; the company holding the sale needs to have value in the item in order for them to make money too. Find sales in wealthy neighborhoods for the best items! Look at photos of what is for sale to see if any items spark an interest or the items that are being sold fit your style. Get there early! Many second hand stores, antique dealers, and others looking for a deal try to get the best items by getting there first. Some sellers will reduce the prices as time goes on in order to try to sell everything in the house. Try to bargain with the seller. Remember bargaining turns more to your favor if you are buying more items. Come prepared to take what you paid for. Some sellers will not hold items.